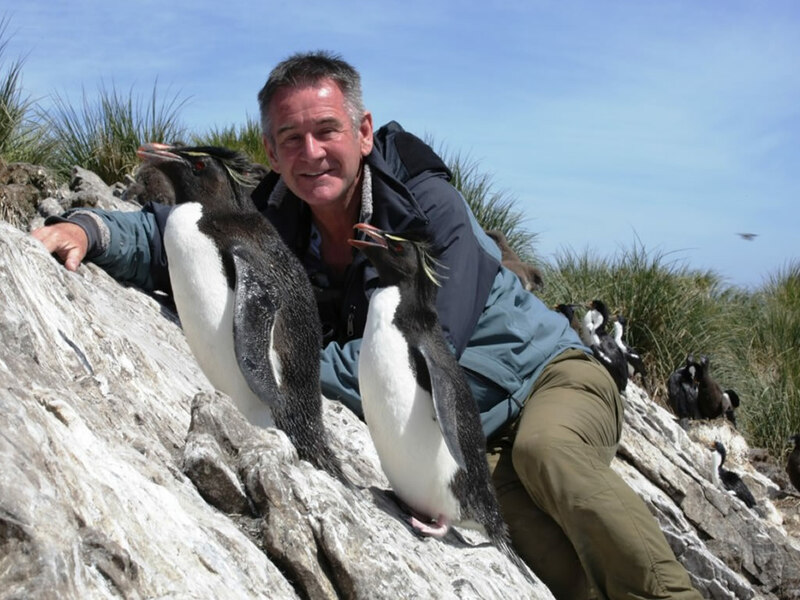 I quizzed wildlife presenter and enthusiast Nigel Marven about his new television series called 'Cruise Ship Adventures'. 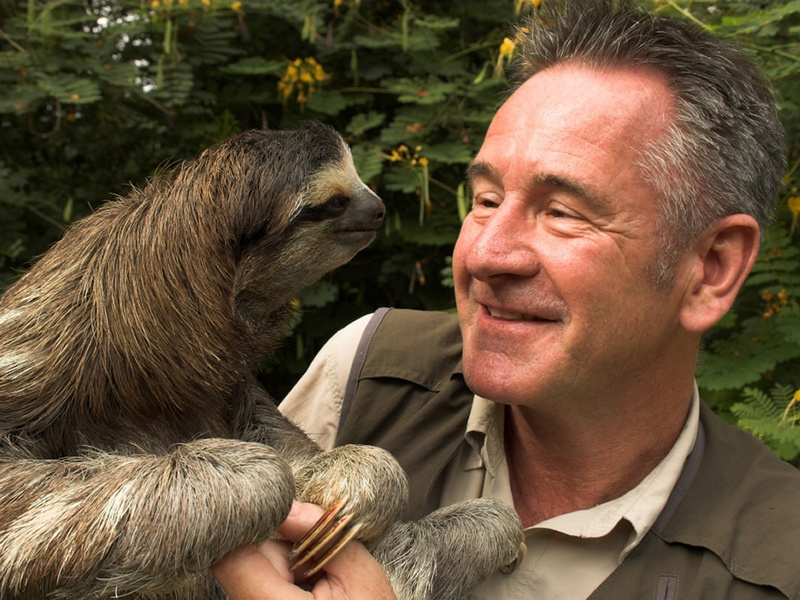 The television series, exclusive to UKTV's Watch channel, is set on Azamara Club Cruises' Azamara Quest and Azamara Journey and sees Nigel travelling the globe in search of wildlife encounters. I was curious to find out what he thought of the overall cruise experience and what his highlights were from filming the television series. As a bit of background, Nigel lives in South Africa, close to the Garden Route near Knysna. Born in 1960, he showed early promise as a budding naturalist. Far from the usual childhood pets of cats, dogs, and hamsters, Nigel amassed a collection including a caiman, magpie, and boa constrictors during his teenage years. He even saved a freshwater eel from being jellied, housing it in his bathtub. He studied Botany and Zoology at Bristol University and broke into television on a BBC programme called Galactic Garden, wrangling worms in front of the camera. Nigel’s first full-time television job was as a Researcher on David Attenborough’s First Eden series. The BBC Drama Department in London asked him to become an Assistant Producer on a ten-part serialisation based on Gerald Durrell’s book 'My Family and Other Animals'. Nigel continued to work at the BBC for well over a decade before moving to Granada Television, where he produced cutting-edge wildlife films. He now runs production company Image Impact making films that are screened all over the world. In an interview, I asked Nigel for his thoughts on Azamara Club Cruises, the cruise industry, and the regions he visited. Surprisingly the only cruising experience Nigel had was with Azamara Club Cruises. The producers approached him with the idea of filming a wildlife documentary set on a cruise ship. Nigel admitted he was close to turning it down as he expected it to be a dull experience. Reluctantly he accepted. He caught the 'cruising bug' on a transatlantic voyage where during a stop in the Azores, he realised lots of passengers enjoyed spotting wildlife, but many felt it was impossible to experience on a regular cruise holiday. And so the show 'Cruise Ship Adventures' was born. Nigel aimed to show viewers the breadth of opportunities available to passengers sailing on cruise ships. I asked Nigel for his thoughts on the cruise line's hospitality and his one-word response was "perfect"! He praised the hospitality and friendliness of the captains and crew, noting that he was made to feel very comfortable onboard the two Azamara ships. He also commented that as his television programmes were popular in India, Asia and Scandinavia, many crew members recognised him and knew of his work. Regarding size, Nigel was keen to point out that he did not need nor want surfing simulators or rock climbing walls to enjoy himself at sea. Nigel was clearly a fan of small ship cruising rather than the resort style cruising offered by larger cruise lines. He also praised the quality and variety of food, mentioning it was easy to eat healthily onboard if you wanted to. He particularly enjoyed his many latte coffees in the Mosaic café and relished the experience of enjoying a cheeky chocolate croissant and latte in his cabin before breakfast. As you might expect Nigel was diplomatic in his response to my question, stating that every region was "fabulous". As you can see from the episode guide below, he has visited many fantastic ports of call in some of the world's most extraordinary locations. I can understand his reluctance to pick an absolute favourite. He did say that the Falkland Islands were a highlight thanks to their abundance of penguin species. He believed the Islands were the best place in the world to witness Rockhopper Penguins. Here Nigel took the Azamara band to play a concert for the Penguins when he visited. The Panama Canal was a surprise to Nigel as he expected this to be an ordinary, nondescript experience. The colossal facts and figures behind the canal's operation boggle the mind. I asked Nigel if any particular experience during filming stood out as a highlight. Without hesitation, Nigel insisted it was snorkelling with a sperm whale in Dominica. This sentence just does not convey how impressive this feat is. Having watched a preview of episode one, I am surprised at how close Nigel gets to the whale. He referred to Dominica as the "Jurassic Park of the Caribbean". On the island, he met up with "Dr Birdie" to search for the Sisserou Parrot (also known as the Imperial Amazon Parrot), the elusive bird only found on Dominica. I asked Nigel whether he thought cruise ships were a good way to explore the natural world, half expecting him to respond with a frank "no". To the contrary, he explained that with the right preparation, cruise passengers could open themselves up to many encounters. He described how cruise ships are great in particular for bird watchers - flat and stable decks are ideal for their telescopes. Not only that, those laden with equipment had a far easier experience unpacking once and visit many different ports of call versus flying between destinations, unpacking and repacking at each. Nigel mentioned that purpose-chartered expedition ships were the ultimate way to experience wildlife but the small ships offered by lines such as Azamara Club Cruises are a very close second best. The overnight port calls that Azamara includes on individual itineraries opens up even more wildlife-spotting opportunities. Furthermore, the small size of Azamara Quest and Azamara Journey means that they can call into more remote ports of call compared to larger cruise vessels. Travellers can visit more secluded areas of the world and more rapidly experience an array of wildlife opportunities not otherwise available at the larger port areas. Lastly, Nigel stressed that he was not given special dispensation for any of the encounters he experienced. With a decent budget, adequate planning, and permits where applicable, he said that anyone sailing with Azamara Club Cruises would be able to enjoy similar experiences to his. I asked Nigel where he would love to travel next on a cruise ship. He was keen to head down under to Australia and New Zealand where the wildlife opportunities are plentiful. He explained how the South Pacific region is abundant with wildlife and how this would be a fantastic area to explore in more depth. As a close second, he enjoyed filming in Central America but felt he needed more time to study the region in more detail, particularly Guatemala. I have watched episode one and enjoyed it greatly. The only disappointment is the lack of availability of the television channel Watch on Freeview and Freesat. Watch TV is available on Sky (channel 109) or Virgin Media (channel 124). Apparently, you can stream it via IPTV on BT Vision and TalkTalk Plus TV too (both on channel 407). I don't typically watch nature programmes, but this is different. 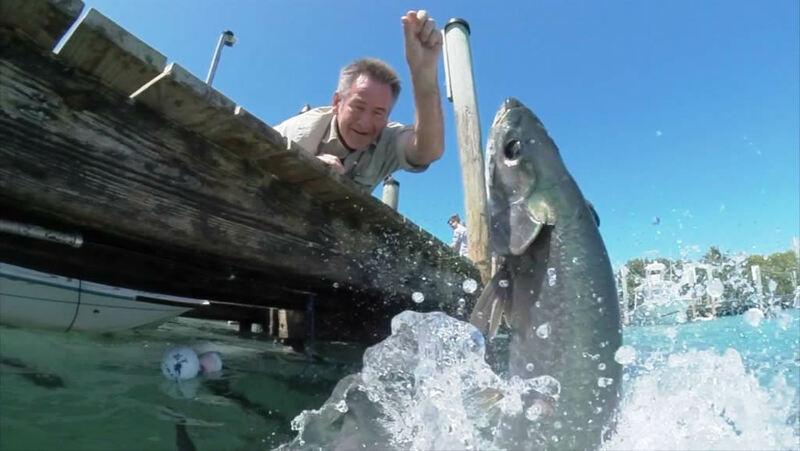 It is a unique format that blends wildlife programming with a travel documentary. There are glimpses into life onboard the cruise ships, but the programme avoids straying into the realms of a fly on the wall documentary. Nigel's enthusiasm paired with the camaraderie between fellow guests and crew make for a very enjoyable programme. Cruise Ship Adventures is new and exclusive to Watch. You can watch it on Tuesdays at 8 pm starting on 5th May. #1 Caribbean Voyage – In this episode, Nigel tours the Caribbean. In the US Virgin Islands, he goes in search of leatherback turtles and the world’s only beer-drinking pigs. He introduces Garin Bader, a Las Vegas illusionist, to giant lizards on Richard Branson’s Necker Island resort. The episode ends in Miami with the ship’s captain wrestling an alligator. #2 A Scandinavian Voyage – On the cruise from mainland Scandinavia to the remote and rugged islands in the North Sea, passengers watch geysers spouting scorching water over 30 metres into the air. They also visit one of the world’s longest and most beautiful fjords, Geiranger in Norway. Nigel discovers a venomous adder, the only snake to live beyond the Arctic Circle. In Iceland, he introduces passengers to minke whales and white-beaked dolphins. #3 - A Mediterranean Voyage - Sailing past the Greek islands and along the Adriatic coastline, Nigel revels in the natural wonders of this ancient world. On the sun-soaked islands, he observes leopard snakes under stones and head-bobbing lizards on castle walls. In Santorini, Nigel takes the ship’s ballroom stars and singers to dance with fishes. He also climbs a mountain in Crete to find soaring Griffin Vultures. On a beach near Olympia, the ship’s crew help Nigel rescue tiny loggerhead turtle babies releasing them into the sea. #4 A Central American Voyage – Nigel travels ahead of the cruise ship to adventure deep into the Costa Rican countryside to beach-comb with tapirs and wild pigs. After journeying through the Panama Canal, he takes cruise ship entertainers to meet adorable baby sloths. When the ship reaches New Orleans, he brings some terrifying swamp monsters on board to show the passengers. #5 An Indian Ocean Odyssey – This voyage follows the fabled Spice Route. In Mumbai, Nigel detects flying foxes and urban leopards. These big cats prowl the streets at night and prey on dogs. In Goa, an opera tenor sings to a python, and in the Maldives, Nigel takes passengers to dive with manta rays. In Sri Lanka, Nigel is amazed by Asian elephants and awestruck by a blue whale. In Chennai, he goes on an adventure with the ship’s Captain, hunting for the deadly cobra. #6 An Antarctic Voyage – Nigel sets out from Buenos Aires as the ship sails south to the rugged and awe-inspiring Antarctic Peninsula. Icebergs are a constant threat, while whales, porpoise and penguins keep the vessel company as it navigates through the icy waters. In Tierra del Fuego, Nigel and the passengers search for the Magellanic Woodpecker, while in the Falkland Islands, the Cruise band performs to Gentoo Penguins. In Patagonia, he finds giant birds called Rheas plus marine mammals galore. Azamara Club Cruises is the luxury arm of Royal Caribbean Cruises Ltd, the parent company of family-friendly Royal Caribbean International and modern luxury specialists, Celebrity Cruises. The cruise line boasts longer stays in port, access to smaller and less trodden destinations, and overnight stays in certain ports of call. Its smaller, more homely, cruise ships means there is a real focus on attentive service onboard. Have you gone on a cruise to spot wildlife? What is your most memorable encounter? Leave a comment below.